When you’re setting up an aquarium, there are a lot of factors to consider. Choosing the creatures that will live in it is only one decision to make. There’s a long list of essentials you’ll have to acquire, one of those potentially being sand or gravel. Aquarium substrate is more than just decorative. It can influence water chemistry, filter bacteria, and more. If you’re considering aquarium sand, you likely have a few questions. There are so many different options available in the market, it can be easy to get overwhelmed and not know which is right for your tank. What are the advantages and disadvantages of using aquarium sand in the first place? How do I know if I should get sand or gravel? 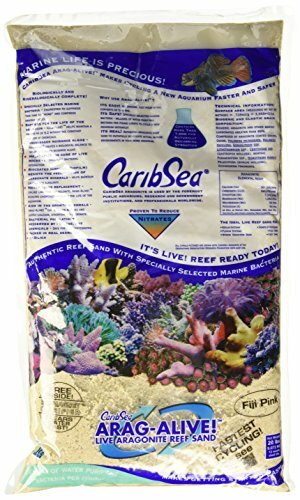 What is the best aquarium sand for me to use? How do I maintain an aquarium with sand in it? As you’re about to learn, if you opt for sand, it’s important to choose the right one for your setup. itshould contribute to a healthy, clean aquatic environment. Of course, it should benefit the inhabitants too. We’re going to tell you everything you need to know about aquarium sand, the different types available, what to look for and what to avoid, and then we have also listed some of the best aquarium sands available on the market today. For each, we discuss discuss their special characteristics, their pros and cos, and for which tanks and inhabitants they’re best suited to. We look at options for both freshwater and marine aquariums. Are You Sure You Want or Need Sand? Let’s begin by covering the potential disadvantages of aquarium sand. You should be aware of any possible drawbacks before committing. There are several broad categories of substrate. These include dirt, crushed marble, sand, or gravel. For aquarium owners, sand or gravel are the most popular choices. The gravel that is used in aquariums can range from finely ground to larger chunks. There is also a range of colors and materials (e.g. artificial, quartz, etc) at your disposal. Aquarium gravel may look similar to the gravel you find outside, but it isn’t. It has been specially treated to be aquarium-safe. Let’s take quartz as an example. In its natural form, this mineral is chemically impure. If you add a handful of quartz you found outdoors to your aquarium, it can dangerously alter the pH of the water. One of the main advantages of gravel is it encourages water flow. Unlike with fine sand particles, water can circulate around gravel with less difficulty. In turn, this prevents harmful bacteria from building up. Another benefit is that gravel is less likely to clog your aquarium filters. Individual particles tend to be too heavy to get pulled into the filters. In the end, the species of fish and plants in your aquarium will determine whether gravel is appropriate. Certain types of plant, such as Anubis barteri, thrive by attaching their roots to rocks, making sand unnecessary. Others simply must have dense sand in order to form a strong root pack and survive. If you have fish that have a habit of eating their own young, thick gravel is a good choice. It will allow eggs to develop and hatch safely out of reach of hungry adults. Hydrogen sulfide is a type of gas you don’t want in your aquarium. Even low concentrations can be toxic to your fish—particularly the younger ones. And it’s one of the downsides of using sand, as I’ll explain in a moment. This compound occurs in natural freshwater environments (e.g. swamps) as a result of rotting organic matter. In your aquarium, anaerobic bacteria are the cause of hydrogen sulfide pockets. Anaerobic bacteria survive off waste that collects in your aquarium. These bacteria are capable of breaking down waste in environments that are devoid of oxygen. During this process, they create hydrogen sulfide. If the gas builds up and is released in small quantities, it isn’t an issue. You may even see hydrogen sulfide bubbles rising to the surface from your substrate every once in a while. The problem is when hydrogen sulfide pockets accumulate and are not released from the substrate. If you or a fish accidentally set off a large enough pocket, it could poison the entire aquarium. How does this relate to aquarium sand? Well, it isn’t easy for water to circulate through it compared to substrates with thicker particles. Hydrogen sulfide pockets can build undisturbed. Properly maintaining your aquarium can significantly lower the risk of hydrogen sulfide building up. We’ll cover more on cleaning your aquarium sand and avoiding this hazard later. Like all living creatures, fish produce waste. It’s your responsibility to keep your aquarium pleasant by keeping it as sanitary as possible. A clean aquarium will also lower the risk of hydrogen sulfide pockets. Remember that the anaerobic bacteria in your tank feed off natural refuse, such as uneaten fish food and feces. Using a siphon is a convenient way of regularly vacuuming up solid waste. All you have to do is run the siphon along the bottom of your tank. This can be tricky if you have sand rather than a thicker particle substrate. Solid waste can sink back into the sand rather than remain on the surface. You might actually end up siphoning up more sand than debris. With gravel, you can wash and re-introduce siphoned particles. Obviously, it isn’t possible to wash individual grains of sand and set them back in your aquarium! Sand can make it difficult to spot waste buildups. Even when you stir it or otherwise disturb it, it will settle again. It can take some practice to get used to siphoning waste out of a sand substrate. The filtration system in your aquarium is a crucial component. You don’t want your filter equipment getting clogged. This can cause the environment in your aquarium to deteriorate faster than you expect. Consider your filter media as the lungs of your filtration system. Whatever media you have (chemical, biological, or mechanical) the function is the same. Its purpose is to filter out chemicals, decaying matter and other things that aren’t good for your fish. Aquarium filters must have enough of a pull to attract all these unpleasant substances. As sand is so fine, it can end up sucked into the intake tube too. Your filter media will likely be able to deal with a few grains of sand. However, if too much is pulled into your filter, a clog is unavoidable. It can also interfere with the mechanisms of your filter. Particles can jam the components, rendering your filter useless. At this point, you’re probably a little wary of aquarium sand. Clogged filters, hydrogen sulfide pockets, what’s to like? Don’t be discouraged, there are multiple perks to having sand as a substrate. Depending on your setup (e.g. fish, plants, etc), it may very well be the better alternative. Underwater plants are just as versatile as their surface-growing counterparts. Different species have their own unique needs concerning light, nutrition, and growth. Just as some aquarium plants can bloom from gravel substrates, others flourish in sand. An added bonus is that plants that can survive in sand are usually hardier. In the wild, these plants can grow in shallow water or wholly submerged. They root on the muddy banks of swamps or in wet sand. If you want these striking additions in your aquarium, sand is a necessity. Vallisneria Americana, or eelgrass, is another plant that does well in sand. In nature, it is often found growing from either muddy or sandy substrates. American waterweed (elodea Canadensis) can take root from just stem cuttings. This popular aquarium plant prefers sand substrate or a mix of it with clay. If you’re the type that favors flowers, yellow-water lilies depend on sand for healthy growth. In aquariums, the seeds need to be kept in sand for optimal development. Some types of substrate, such as crushed marble, don’t occur in natural bodies of water. If you’re going for a natural aesthetic in your aquarium, you can’t beat sand. There are brands that look identical to what you would find in oceans or lakes. Aquarium sand comes in assorted colors. If you want to personalize your aquarium, choosing a color that suits your tastes is a great way to do this. If you’re thinking about colorful sand, keep in mind that certain fish can see colors. This might impact the choices you make. Everyone’s favorite fish, the goldfish, has been proven to have color vision. There are fish that have adapted to living in gloomy environments. In such cases, bright sand might stress out your fish and provoke health complications. If you decide to go ahead and use colored sand, observe your fish for stress behavior. This includes sudden changes in feeding habits or odd behavior, such as aggression. Your goal as an aquarium owner should be to provide an idyllic habitat for your fish. Sand can help your fish feel more at home by mimicking their natural terrain. Fish have behavioral as well as physical needs that your aquarium must meet. There are species of fish that use sand for both. If you have fish with these inclinations, sand is a must. Some species of fish eat through a process known as filter feeding. This means that they filter food directly from the water or sand. If you have a saltwater aquarium, macrofauna are organisms that subsist off sand through filter-feeding. They serve as living waste filters for your aquarium. They eat organic debris and bacteria. Examples include clams, coral, and phytoplankton. Other fish species require sand to practice their burrowing behaviors. If you use gravel or another substrate, your fish could injure themselves when they try to burrow. Delicate fins can tear—their scales can be ripped off, etc. Bottom-dwelling fish, such as catfish, swim close to the ground rather than up towards the surface. They also enjoy foraging for food. Substrates other than sand can be harmful or even fatal if ingested in large quantities. Balancing the water chemistry in your aquarium can be challenging. Many factors can impact the chemical makeup of the water for better or worse, including sand. The health of your fish is directly linked to the composition of your aquarium’s water. The wrong mineral composition or pH of the water can be a significant stressor. There is no universal perfect pH for aquariums. The pH of seawater is more alkaline, averaging at about a nine out of 14. Freshwater fish, on the other hand, need a pH that ranges from five and a half to seven and a half. Any higher or lower will be either too acidic or alkaline. The aquarium sand you select can affect the pH balance in the tank. Sand for freshwater aquariums should be pH neutral and chemically inert. If you have a saltwater aquarium, you may want to try aragonite sand. In the ocean, aragonite is critical for the ecosystem. Aragonite contains calcium carbonate, which can work to regulate pH at about an eight. You can also invest in aquarium sands that are chemically neutral. You won’t have to worry about these brands affecting your water chemistry one way or another. Now that you’re aware of the pros and cons, let’s discuss your options. Three types of sand can be used in aquariums. Keep in mind that not all of them will be the best choice, so please read carefully. This is exactly what it sounds like, and it’s the type we recommend. These are sands that are explicitly designed for use in aquariums. If possible, you should stick with aquarium sand over other types. Safety is always a concern with anything you add to your aquarium. Hidden chemicals can change your aquarium’s composition and put your fish at risk. These sands usually come with instructions for maintenance and cleaning too. You won’t have to play a guessing game and risk wasting sand or a dirty aquarium. 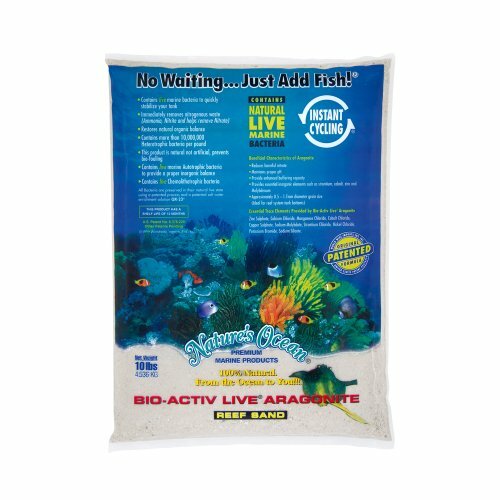 Specialty aquarium sands can also have added nutrients to support aquatic life of all types. This applies not only to fish but to plants as well. Some brands are even formulated to encourage plant growth. Some people use pool filter or play sand in their aquarium. However, this is not our preference. Again, we strongly recommend buying specialty aquarium sand instead. If you have to use play or pool filter sand in a pinch, be vigilant. Don’t pick up just any brand and dump it into your aquarium. Play sand may not pose a risk to your children, but it can to your fish. For instance, quartz-based play sand. Unlike quartz that is specially treated for aquariums, it isn’t chemically inert. It consists of minerals that can affect the pH balance of your tank. The same can be said of some pool filter sands. They aren’t sold for the express purpose of being put into an aquarium with living things. They may have compounds in them that can be hazardous to aquarium life. If you absolutely must use it, be sure to check the ingredients of play or pool filter sand thoroughly. If it’s not 100 percent natural, with absolutely zero added chemicals, make every effort to avoid it. When you’re ready to start shopping – where do you begin? You need to be clear about what you’re looking for before you make a purchase. The more specific you are about the sand you want for your aquarium, the better. Keep the following considerations in mind to narrow down your selection. Make sure the sand you use is suitable for aquarium use. Yes, this point bears repeating yet again. You shouldn’t use any old type of sand in your aquarium. There’s a lot more to selecting the right one than meets the eye. Those that are designed to be used in aquariums have been specially treated for this exact purpose. Specialty aquarium sand does not have to drastically impact your aquarium’s environment unless you want it to. Whether you select one with added minerals or nutrients depends on your aquarium and preferences. You will be comfortable knowing that this type of sand will not have adverse effects on your aquarium. This includes the fish as well as the plants. You can rest assured that by using specialty sand, it won’t cause harm. Aquarium sands come in varying grain sizes. These can range from fine and soft to larger and coarser. The grain size you choose should be based on who will be residing in your aquarium. You want to get sand with granule sizes that are beneficial for the wants and habits of your fish. It may not sound like a big deal, but, for your fish it can improve their quality of life and make them feel more comfortable. The closer your aquarium resembles the fish’s natural habitat, the more content they will be. Certain fish like to burrow in sand that is larger than average and somewhat rough. Others favor fine, smooth, silt-like grains for filter-feeding. Do a bit of research to know what your species of fish like regarding consistency. Don’t forget that sand can change the water chemistry in your aquarium. This can be handy under some circumstances (e.g. aragonite sand in marine aquariums). In other scenarios, altering the water chemistry could be disastrous. If you use sand that makes the pH of the water too high or too low, for example, your fish may suffer. Read the labels carefully. Look out for warnings or ingredients (e.g. added minerals) that can alter your aquarium’s chemical composition. As we’ve emphasized, the type of water in your aquarium is an important factor in your choice of sand. Freshwater and marine or reef aquariums are far from identical, and each has distinct requirements. Freshwater aquarium sands typically don’t affect the pH, so they assist with keeping it neutral. On the other hand, marine sands can include minerals to boost the pH to be more alkaline. Those sold for specific types of water can better match nature’s habitats. They simulate the consistency and color of sand found in natural bodies of water. You can opt for one close to the kind found in the home of your fish in the wild. Live aquarium sand comes with live bacteria included. There are brands available harvested directly from the ocean. Not all bacteria in an aquarium are hostile. There are a number of bacteria that serve practical purposes, to help convert ammonia and nitrates into less harmful nitrites. Eventually, any type of sand will become live, meaning home to various bacteria. The “good” bacteria play a role in regulating the nitrogen cycle in your aquarium. The main bacteria involved in this process are known as Nitrobacter and Nitrosomonas. These helpful organisms work as living filters for waste in your aquarium. They break down organic debris that can become toxic over time. When you buy aquarium sand that isn’t “live,” it is sterile. You’ll have to be extra vigilant with your maintenance until bacteria grow in it. Otherwise, these waste products can pile up and grow poisonous. Live sand eliminates this period of uncertainty for you. Your aquarium will start off with a decent population of live bacteria. We have compiled here a list of the best brands compatible with freshwater aquariums. As these sands are pH neutral and inert, they can be used in saltwater aquariums as well. CaribSea Super Naturals is great if the aesthetic is your priority. You have six paint-free, dye-free sands to choose from. There are no artificial coatings of any sort. This line from CaribSea is all about an exotic theme. Each option replicates the color of sand found in beaches and rivers across the globe. They range from light (Torpedo Beach) all the way to black (Tahitian Moon). In between, you have mixed colors such as Amazon River and Peace River. One of the great features of these sands is they offer the opportunity to customize while keeping things realistic. The striking colors in this range are actually found in the natural world. If you have tropical fish, you can recreate their home environment for them. Bottom dwellers, burrowers, and filter feeders will appreciate this sand. Fine, smooth grains will avoid scratching or injuring sensitive fish. 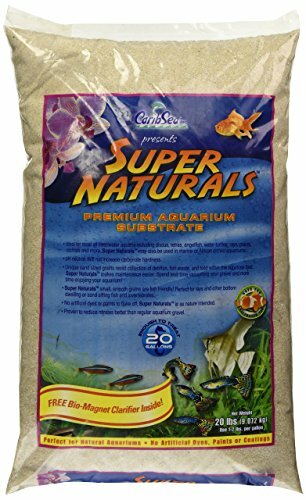 CaribSea Super Naturals has uniquely sized grains to reduce the chances of maintenance issues. Debris, food, and other waste in your tank will not build up as quickly. The grains are not so small as to be sucked easily into your filter. Available in five, 10, or 20-pound bags. Free of paints or dyes. Choice of six different colors. Ideal for an exotic look. Safe for burrowing and filter feeding fish. Lighter colors may require frequent cleaning. Must be rinsed thoroughly before use. With some colors, water may take time to clear. Stoney River white aquatic sand is wholly non-toxic and pH neutral. Regardless of what sort of aquarium you have, this is a safe choice. Aquarium owners who are keen on a neutral, classic look will like this sand. It is finely grained and resembles the sand you might find on a beach or in a river. Burrowing fish will appreciate the smooth consistency of this sand. The grains are small enough to be compatible with filter-feeders too. In spite of the fine consistency, it doesn’t clump up. This makes it less likely for hydrogen sulfide pockets to build. Stoney River is infused with live bacteria. You don’t have to wait for your aquarium ecosystem to cultivate bacteria on its own. Good bacteria will promote healthy fish and plant-life right off the bat. Available in a five-pound bag. Can cloud in your tank when disturbed. Floating sand can clog your filter. CaribSea Tahitian Moon is another option that’s appropriate for any aquarium, being pH neutral. This sheer black sand is free of any paint or artificial colorants. 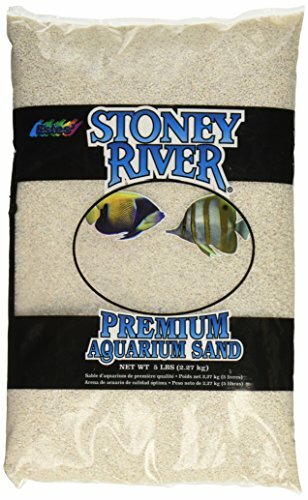 If you have strikingly colored fish, this sand is a perfect complement. Pure black will make your tropical fish look even more vibrant and vivid. Once it gets wet, it will really stand out! You’ll notice a glittery shine to it. other burrowing fish can practice natural behaviors without getting injured. The consistency of the sand promotes healthy plant growth too. Roots will be able to expand easily through it to acquire nutrients from organic debris. Although it is quite fine, it settles well on the bottom of your tank. It isn’t likely to clog your filter as long as you keep the filter high enough. Available in a 20-pound bag. Free of dyes or paints. Fine grains optimal for smaller filter feeders. Pure black—not faded, grayish, etc. Initial cleaning is messy—black stains can occur. As its name suggests, CaribSea African cichlid mix is enhanced sand tailored specifically for African cichlids. When keeping these fish, water chemistry can be a challenge. Cichlids that originate from African lakes are accustomed to a specific pH balance. Unlike other freshwater fish, the water needs to be more alkaline than neutral. This mix takes away a lot of the pH-balancing work from you. It is built to keep the water quality in your aquarium similar to that of the Rift lakes of Africa. African Rift lakes tend to be highly alkaline environments. Your African cichlids will feel at home in a water pH similar to that of the lakes they inhabit in the wild. In addition to ensuring the appropriate pH balance, this aquarium sand has a consistency that suits African cichlid behavior. It is coarsely textured, ideal for nest-building and burrowing. Unlike finer sands, you won’t have to worry about your cichlids hitting the bottom of the tank. Enriched to prevent pH drops. Black and white color mix. Thicker grains make siphoning easier. Coarse texture great for African cichlids. Less likely to clog your filter media. Only available in one color choice. Can cloud your tank for a while when you first add it. If you have African cichlids, why not pick sand designed explicitly for the species? Everything from consistency to pH is made to keep your cichlids comfortable. 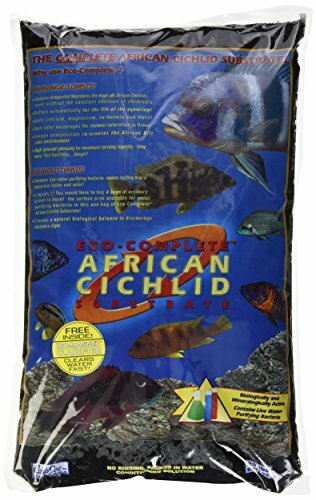 This is another choice that comes packed with minerals to sustain a healthy environment for African cichlids. 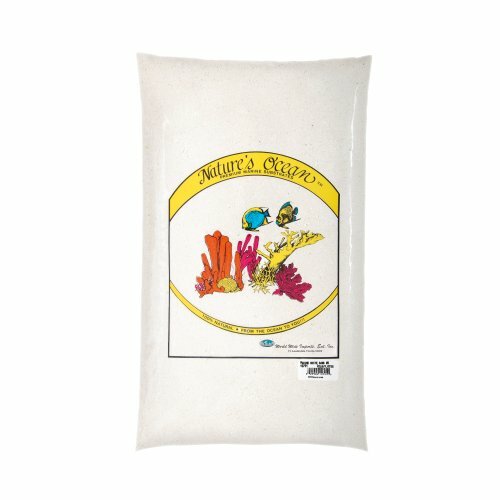 It contains aragonite to keep your water pH alkaline, though it is suitable for a wide range of other fish. if not remove the risk of your aquarium’s pH dropping suddenly. This sand is also enriched with magnesium, calcium, and other minerals. All of these will contribute to optimizing your aquarium water chemistry for African cichlids. The grains are extra porous for optimal delivery of all these beneficial compounds. This sand contains live bacteria to jumpstart your aquarium’s ecosystem. You won’t have to go through a monitoring period as you would with sterile sand. Plants, as well as your fish, will thrive. Since the grains are coarser rather than fine, your filtration system won’t become clogged. This feature also allows for easier siphoning of solid wastes. This aquarium sand is black, which will make your cichlids’ colors really pop. If you want your fish to stand out, this mix is a good option. Enriched with aragonite and other minerals. Black color provides a nice contrast for colorful fish. Too heavy to get sucked into the filter. Consistency is more like gravel than sand. 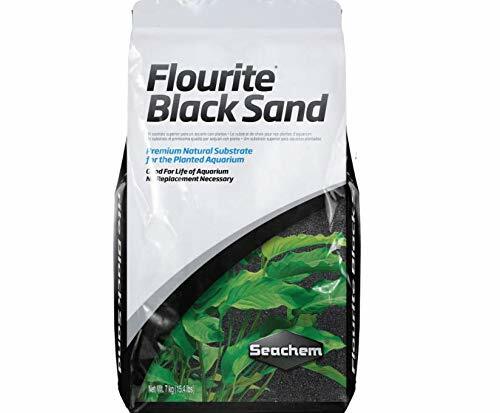 Seachem Flourite black sand is for aquarium owners who want to cut down on maintenance. Unlike other aquarium sands, this thick-grained brand will last as long as your aquarium does. Seachem’s sand is free of any chemicals or artificial colorants. It’s aimed at aquariums that are rich in plant life. Still, aquariums without plants can include this sand too. It is treated to promote rapid, healthy, and sustainable plant growth. If you want your aquarium to be an underwater garden, you should consider Seachem fluorite. The grains in this sand are relatively small but porous. This enables all the beneficial nutrients to be released gradually over time. In spite of the small grains, it is heavy, and therefore no less likely to float around your tank. The consistency is smooth, to avoid accidental injury. Your fish can filter feed, burrow, or skim across the bottom of your tank without issues. The way this sand settles will avoid debris collecting underneath it. Uneaten food and solid waste will settle on the surface instead of sinking below it. Available in a 15.4-pound bag. Reduces buildup of organic debris. Initial cleaning will take repetition and effort. Ingredients and treatment process not clear. Not a deep black, more like charcoal. In addition to the freshwater sands above, we’ve also reviewed the top brands for marine or reef aquariums. Keep in mind that while the freshwater sand can be used in saltwater environments, the opposite is not true. These marine and reef sands are not suitable for freshwater fish. They can only be used in saltwater and marine or reef aquariums. CaribSea Ocean Direct is exactly what the name implies. This is untreated ocean sand, and it contains live bacteria. The included bacteria are original, nothing has been added. 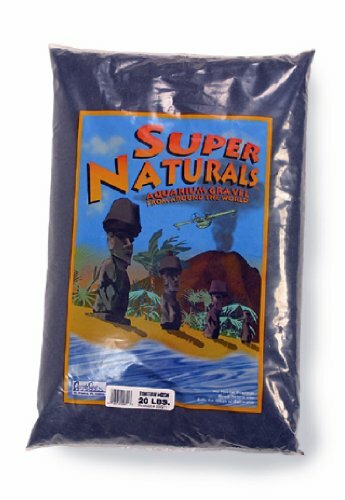 If your goal is an all-natural saltwater aquarium, this sand might be for you. Nothing is artificial, manufactured, or chemically treated. Your fish and plant life will get the same substrate that they would in the ocean or sea. As with any live bacteria sand, this brand takes some of the responsibility off your shoulders. Good bacteria are already established, you don’t have to be extra careful as you would with sterile brands. The sand comes with bits and pieces of the ocean in it: seashells, corals, and pebbles. No bag is exactly alike, which might add a fun element of surprise. Any small crustaceans in your tank (e.g. hermit crabs) will take advantage of the genuine shells. Available in a 40-pound bag. Authentic beach look and color. Settles well, doesn’t blow around. Can cause initial fogginess when added. Shipping may dry it out, killing bacteria. Some bags may have sharp pebbles or shells that can hurt fish. CaribSea Arag-Alive is rich in beneficial bacteria for a healthy aquarium ecosystem. This sand comes with millions of bacteria included. You can go from a brand new tank straight to an established one. All of these bacteria are also useful for keeping the water pH from dropping too low. Each bag comes sealed to keep the sand wet. This ensures all those good bacteria will be alive and well when you’re ready to add it to your tank. The full Arag-Alive line has eight different styles to choose from. Each has a different grain size and consistency, modeled off a natural environment. Fiji-Pink, the product we’re looking at now, is fine-grained and similar to standard beach sand. The grains settle relatively quickly when disturbed, to avoid clouding. As long as you keep your filter pipes high up, it shouldn’t clog your filter. Small crustaceans and other bottom-dwelling lifeforms will like this sand. The smooth texture is great for filter-feeders and fish that like to burrow. Includes millions of helpful bacteria. Replicates sand found in natural environments. Will kickstart your aquarium ecosystem. Cloudiness takes time to dissipate. If the bag is damaged during shipping, it could arrive dry. This aquarium sand is taken direct from the ocean, with a twist. Unlike other brands, it doesn’t contain live bacteria, and it has been sterilized. This eliminates concerns about debris such as broken shells that can injure your fish. The sand is not totally devoid of compounds, though. It consists of trace marine elements that can stabilize pH levels in your water. In turn, this will lower the risk of abrupt spikes or drops in the pH level. One of the most pleasing features of this s=brand is appearance and consistency. It may appear darker in the bag, but once you add water to it, it becomes a pure white. This provides a beautiful contrast for darker fish. The grains are extremely small and fine. Filter-feeders and fragile fish can frolic and interact with it freely. Fish that come from ecosystems with soft, fine sand will be happy too. Your burrowing fish won’t have to work hard to nest and forage. Gentle for all types of fish. This is bursting with large quantities of live bacteria. It will work to stabilize your aquarium’s environment rapidly. The bacteria in the sand target nitrogenous waste, stopping ammonia from building up. Everything in this sand is natural—there’s nothing artificial added. This means there are no chemicals of any sort that could harm your aquatic life. This sand is ideal for those of you who worry a lot about water composition. When you clean your tank or set up a new one, there’s an adaptation period. The contents of this live sand will balance the pH and keep it from dropping or spiking. All these properties will shorten the waiting period before can you can add your fish. You can begin adding (or re-adding) fish to your tank almost immediately. Looks-wise, the sand can be described as traditional, typical beach sand. You’ll notice little shells come with it too. The number of shells will vary from bag to bag. As the grains are small and fine, most fish that practice sand behaviors will be content with it. Available in a 10-pound bag. Transparent about ingredients—bacteria species and trace elements listed. Once you have chosen the best aquarium sand for you, your fish and plants, now what? Before you tear that bag open, take a moment. You should know how to add it to your aquarium, and also how much you should be adding. You need to be careful when calculating the depth of your sand. Get out a ruler or measuring tape for accuracy. It will only take a few minutes of your time (at the most) and save you trouble later. If it’s too deep, it could end up clogging your filter or blowing around the tank. Then again, a shallow sand bed isn’t ideal for your fish. You don’t want your fish to hit the bottom of the tank if they go foraging or burrowing. How can you know what depth is ideal? All you have to do is select the type of sand you have, and enter your aquarium dimensions. The results will give you the precise amount you should be using. Live sand shouldn’t be cleaned before you add it to your aquarium. Doing so will defeat the purpose of the product: you’ll be rinsing away all the bacteria. Other types may have to be washed beforehand. Check the instructions on the package before using it. If they explicitly tell you not to wash it, you should go ahead and add it as is. If the instructions recommend giving it a rinse, don’t skip this important step. Washing your sand will remove dust or residue that may have formed during shipping or manufacturing. Note that depending on the brand, cleaning can be a shorter or longer chore. Some need to be rinsed repeatedly. As a general rule, once the water runs clear your sand is clean. There’s a method that will enable you to clean the aquarium sand that’s already in your tank, without removing it. Begin by taking out any decorative items from your aquarium. The only thing remaining should be your fish and plants—and of course the sand. Next, you can move the sand around with your fingers. This will bring any debris to settle on the surface of it. Once that’s done, you can start siphoning over the surface to remove the solid waste. If you feel up to it, you can pick up larger waste particles directly. Be sure to wash your hands afterward, though! Take care not to hold your siphon too close to the sand. Otherwise, you’ll end up siphoning up clumps of it along with the waste. Use buckets rather than siphoning into your sink. Sand can clog up the drain and warrant a visit from your plumber. By this point, you should be an expert on the topic of aquarium sand. You know how to select sand that is right for your aquarium, and what features to look out for. Your specific fish, their natural habitat, their preferences, and your own requirements, are all important factors to consider. If you have any questions, comments, feedback, o other recommendations for the best aquarium sand we can add to the list, please share in the comments below. We’ll be sure to answer every one.